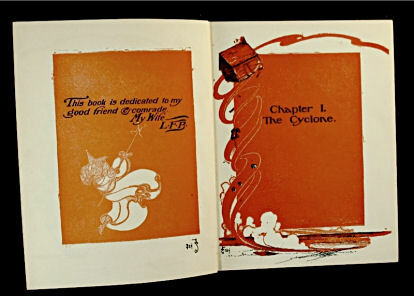 Lyman Frank Baum (May 15, 1856 - May 6, 1919) was a businessman, actor, and independent filmaker, but his true love was writing. Baum was named Lyman after his father’s brother, but always disliked the name so instead went by his middle name, Frank. 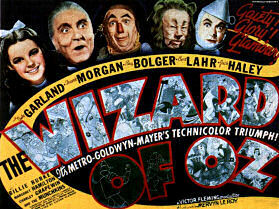 He is most famous for his children's book series The Oz Series. In the winter of 1882, Baum’s play The Maid of Arran brought him on a tour of the United States which included stops in both Lawrence and Olathe, Kansas. After this very brief visit, Baum never returned. 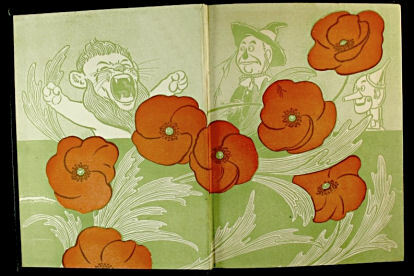 L. Frank Baum never lived in Kansas and his experience there was limited to only one or two days, yet his Oz book series has become a definitive part of the state. 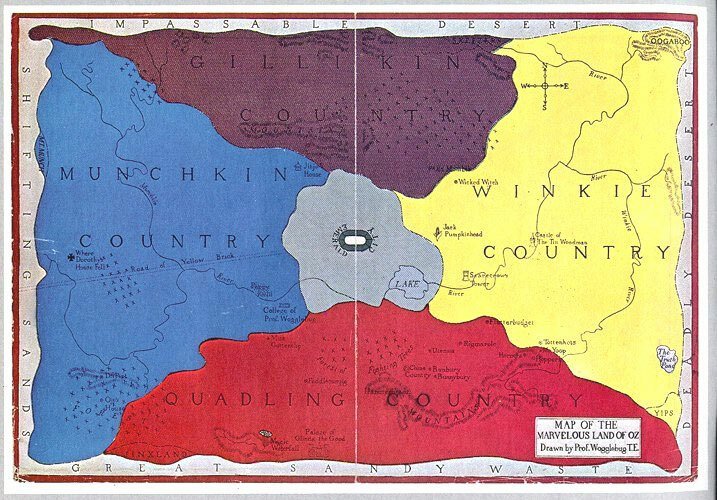 There is strong speculation that Baum’s Kansas influence may have come from William Allen White, a friend of Baum and a Kansas native. 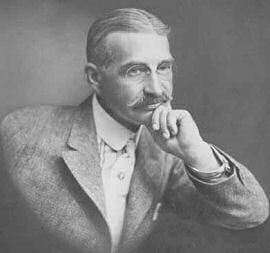 L. Frank Baum published 55 novels, 82 short stories, and over 200 poems. 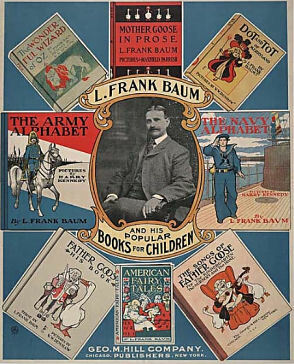 Along with publishing under his own name L. Frank Baum, many of his books were published under the pseudonyms: Edith Van Dyne, Floyd Akers, Schuyler Staunton, John Estes, Suzanne Metcalf, Laura Bancroft, and Anonymous. 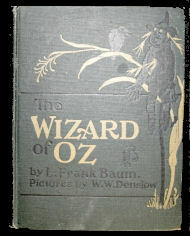 Baum wrote fourteen Oz Books in two series, the Oz Series and the Little Wizard Stories. Review of Nurse Betty by Thomas Fox Averill. Oz theme park, now abandoned, is open only one day a year. These are all descriptions that Baum gives of Kansas in The Wizard of Oz. This also, thanks to this book, is the view that much of the world has of the state: Vast, dark, gloomy, and full of tornados. The dedication and first chapter page. The following was origanally published in the Philadelphia North American (3 October 1904). Reprinted in The Baum Bugle, Spring 1985. This web-page compiled by Chelsea Hochstetler.